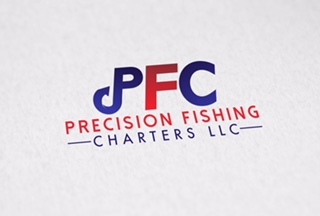 Specialize in catching Speckle Trout and Redfish. We also catch Black Drum, Sheepshead, Flounder, White Trout, and Bull Reds. I was one of three boats fishing with this San Diego, California crew. All 3 days Jerry, Mark and Brad had the cooler overflowing with limits of redfish. They also caught all these species over their trip: Sheepshead(tonsð), Speckled trout(very few), Bass, flounder, Black drum and 1 freshwater catfish. Great crew and LOTS of fun. Thank you Captain Lloyd Landry for setting all this up. If you want in on this incredible bite give me a call and letâs get em! #HighwaterFishingLures and #GetEmShads responsible for the carnage. #Filletzall blades made cleaning a breeze. #Powerpole kept us on da spot. #Jusgrabitglove protected my handsð. #Pugliassportinggoods sells all these fine products. Very low water due to the high northern winds made it tough getting around today but the guys from Farm Bureau Insurance put a hurting on the reds. Thanks Capt Lloyd Landry for setting up the trip. It was Steve and Leslieâs turn to battle the windy rainy conditions Tuesday down in Dularge. We got a late start (9:30am) waiting on thunderstorms to pass but we managed to box a few. Ratio of keeper reds to throwbacks was 6:20. Lots of undersized reds but they caught plenty of them. Check out the Black Drum that Steve landed weighing in at 27.9lbs. And one of the prettiest Sheepshead Iâve ever seen landed by Leslie. All fish caught on vudu shrimp tipped wit ð¤ under a 4horsemen cork. Thanks for a great time and a big thanks to Capt Lloyd Landry with Outcast Fishing Charters for the trip. I had the pleasure to fish with Jay and Kathy Monday. Windy windy again but they stuck with it and put 13 reds, 2 trout and 1 sheep in the cooler with the help of Dat #4horsemencorks and #vudushrimp. Great time fishing with these two. Thank you Capt Lloyd Landry for the trip! High winds out of Cocodrie Sunday but that didnât stop John, Thomas and Troy from Star Services from putting 20 reds on ice with trout and drums mixed in. Great trip!!! Big thanks to Bryce Michel/Capt Chris Venable for the trip. All fish caught on vudu shrimp under 4Horsemen corks. *Kids 12 and under fish for free(one parent must be present for each kid).